I was told I would never run again – I’ve gone on to compete in marathons and IronMan Triathlons! While an Airborne Ranger in the military, he was injured in a mountain climbing accident and air-lifted off of Mt. Rainier. Routine medical care told him he would be fine but he was left in chronic pain. While he was in pre-med at the University of Minnesota, his Chiropractor, who he later married, helped him with several compression fractures in his back. She helped him feel better than he had in years. Dr. Don was so impressed with the healing he experienced with chiropractic, he left his career path in Medicine and went to Northwestern College of Chiropractic (now called Northwestern Health Sciences University). Through the last 25 years Dr. Don has cared for thousands of patients ranging from newborns to the elderly. He has seen countless surgeries prevented. Many people who had lost hope have returned to a functional life. Not everyone has serious problems, however a lot of minor problems can steadily progress and become serious if not taken care of. First, get your symptoms under control and help you feel better. Second, is rehabilitative, which helps stabilize and hopefully change your structure so you have long-term healing. The last stage, if you choose, is wellness care, coming in on a preventative basis. We also offer two classes focusing on strengthening and stretching. Drs. Don and Lynn are happily married with four children and grandchildren. 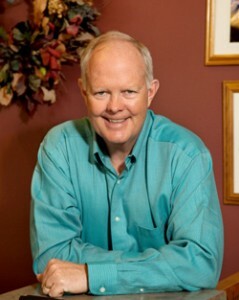 He is a past president of Toastmasters in Missoula and enjoys public speaking. They have hosted many Food Drives to help the hungry in our community. 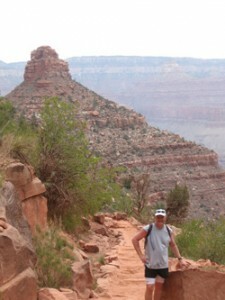 Dr. Don has completed 4 Ironman Triathlons, over 20 marathons and is an avid cyclist and hiker. Together Dr. Lynn and he are “outdoors” people and kayak frequently. Thousands of people suffer needlessly. Dr. Don would be honored to do everything he can to help you live a better quality life. Contact us today at (406) 728-5114 for an appointment!